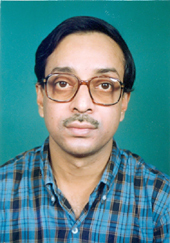 Dipankar Home is Professor of Physics at Bose Institute, Kolkata. He is also author of “Conceptual Foundations of Quantum Physics”, “Einstein’s Struggles with Quantum Theory: A Reappraisal” with Andrew Whitaker and “Riddles in your Teacup” with P. Ghose. From a broader cultural point of view, I think, the central importance of science stems from providing an extended meaning to human creativity in terms of an amazingly powerful methodology for probing a staggeringly diverse variety of natural phenomena, that is also successful entailing technological spin-offs - an enterprise which blends in a unique way an artist-like imagination and a child-like curiosity with an objective analytical reasoning based on systematic empirical studies. Enlarging this perspective, perhaps the most crucial significance of the pursuit of science lies in teaching us the value of healthy skepticism - the art of leaving room for doubt and debates while at the same time making progress in cracking the intricate mysteries posed by nature. It is this triumph of what Richard Feynman has called a “satisfactory philosophy of ignorance” that needs to be celebrated by making the true spirit of scientific enquiry an integral ingredient of human culture as a whole, sadly so lacking in the contemporary world.